My wife, Meg, and I are a typical millennial couple. We live in an average sized home in the Chicago suburbs with our 1-year-old son and two dogs. By day, we’re public school teachers who pour our souls into making an impact for kids. We enjoy our careers, but God has always given us above-average bandwidth in the energy and hustle department—we’re that unique couple who really loves to work. Over the last nine years, we’ve tried our hand at several different ways to make extra money and give purpose to our spare time. Since 2010, we’ve made just over $185,000 through a variety of opportunities. 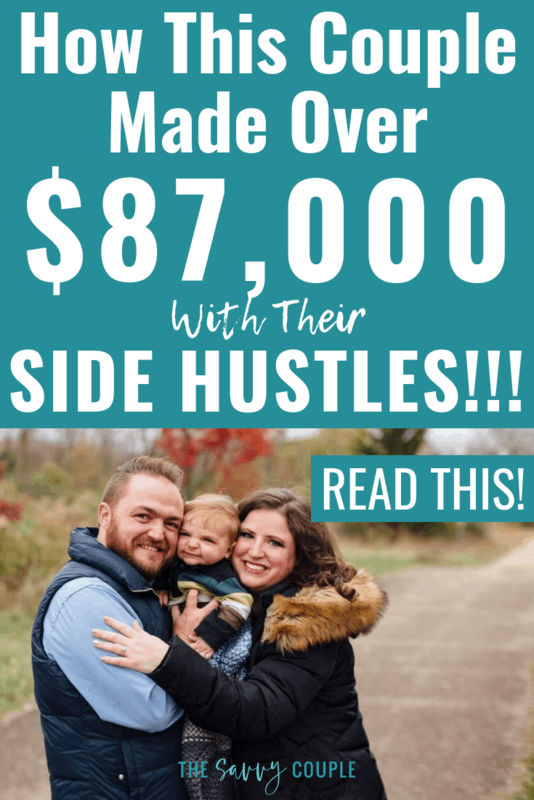 And in a move we never saw coming, we made over $87,000 through three side hustles — blogging, working as a real estate agent, and teaching music lessons — in 2018. To be honest, the grind of working to make extra money isn’t without challenges. But we’ve always strived to earn every penny through honesty, integrity, and hard work. 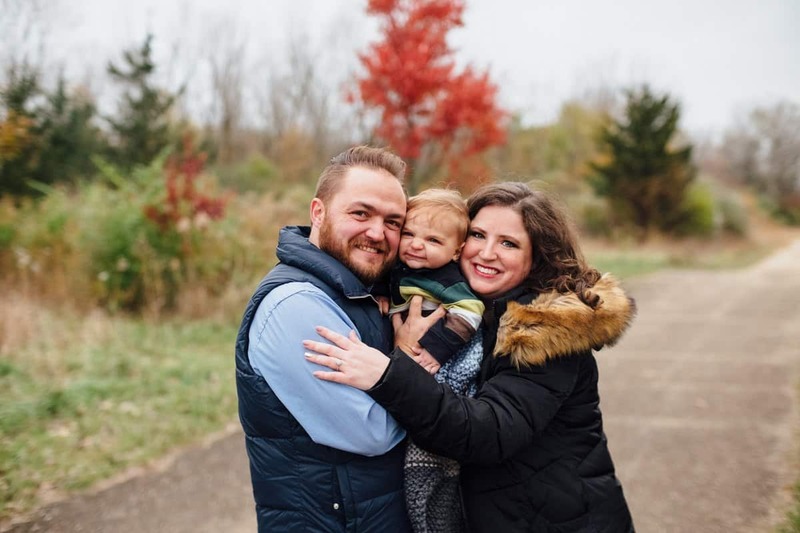 If you’re reading this and telling yourself, “Good for them, but I could never do that,” let me encourage you: I thought the same thing before we started on this crazy journey as poor newlyweds! It didn’t take long after getting married to see that it would be challenging to one day reach financial freedom if we kept doing what we were doing, so we decided to take massive action (more on that later) to change our lives. So below, I’m sharing seven universal principles that can help you launch a successful side hustle/small business or maximize the income potential of the one you’ve already started. When Meg and I were poor newlyweds looking for opportunities to make more money, we were what I now consider “mildly aggressive” side hustlers. We kept an eye out for new opportunities on nights and weekends, and overall, it worked. We made just over $4,000 through our side hustles in 2010. That figure dipped a bit for the next few years, and then it started growing again in 2013. Over the next few years, we made it a point of emphasis to make more money whenever we could. Meg started taking paid online surveys, and we both downloaded a few money making apps to push our side hustle income a bit higher. So how exactly did we manage to 20X that figure over 8 years? We didn’t know it at the time, but we started practicing something called The 10X Rule. In The 10X Rule: The Only Difference Between Success and Failure, author Grant Cardone illustrates the incredible power of taking “Massive Action” to accomplish your goals and dreams. Most people, he argues, tend to operate with only three degrees of action—no action, retreat, or normal action—while the most successful people in the world break free and multiply their actions far beyond previous levels. Meg grew her small music lesson studio from just a few students into a flourishing small business with 23 students in just a matter of months. Virtually all of this business growth happened when Meg made it her mission to tell everyone about her business. 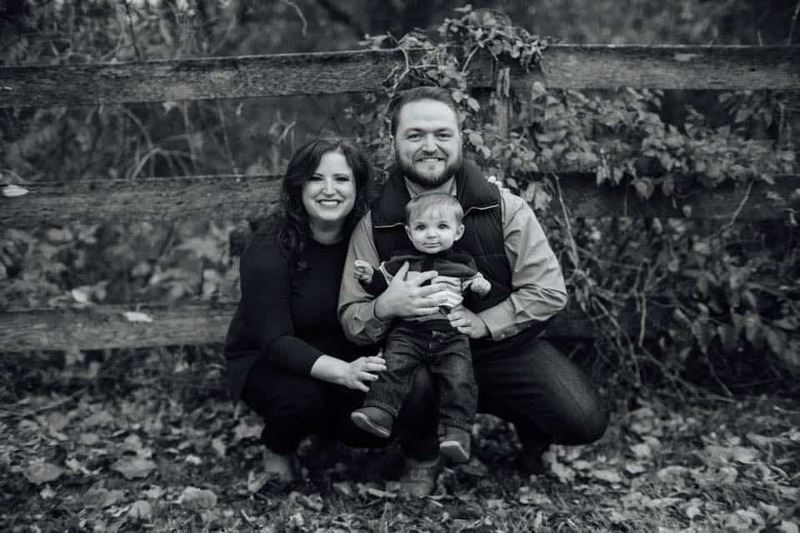 She also implemented a referral program that gave her business a huge boost. My two small businesses — my blog and real estate — have grown exponentially in the past two years. (Yes, I could have grown them faster if I had followed my wife’s lead. But I’m slow and stubborn. At least I married-up.) This growth occurred when I finally stopped dwelling on what I wanted and started taking bold action to make it a reality. In other words, I stopped thinking and started doing the work. Another major factor in our small business success continues to be our willingness to leave our comfort zones whenever possible. It sounds so simple, but how many people do you know who actually make it a habit of stepping far enough outside their comfort zone that they experience fear? To be honest, my habit of staying in my comfort zone was one of my biggest barriers to success in the early days of both my blogging and real estate businesses. I was very good at running with opportunities that came to me, but seeking out opportunities and taking massive action to create them made me want to retreat. When I finally learned the power of trying new things and being bold, it was like a whole new world of opportunity opened up before my eyes. Sure, it was hard and I felt really uncomfortable pretty much all the time. When I pushed myself to step out of my comfort zone, that also meant I had to make a commitment to do things I hated doing in order to maximize the potential of my side hustles. It terrified me to push myself, but I quickly learned that results came when I challenged myself to do the things that scared me. In my real estate business, I implemented a new lead generation system using Facebook ads and took massive action to follow-up with leads as they came in each day. Generally speaking, the system is very aggressive and demands that I make many points of contact with each lead in just a few days, including phone calls, texts, and e-mails. The first few calls I made were scary and awkward, but I quickly saw that I had nothing to fear. I actually became good at the tasks I previously feared, and some of them even became fun! Most of the things you fear are greatly exaggerated and unlikely to occur. Fear is a surprisingly good indicator that you are on the verge of a big breakthrough. Specific fears lose their stronghold when you face them head-on. If you know the action is likely to be good for your side hustle and you still don’t want to do it, this is a huge sign that you need to stop thinking about it and do it anyway. If you can do it right away, even better! Before I get anyone into trouble, let me be clear: Copying others’ ideas is stealing. Don’t do it. With that said, Meg and I have learned that there is a tremendous value to be found in studying what others are doing and putting your own twist on it. For example, I started FinanceSuperhero in part because I was inspired by many other personal finance bloggers over the years. I have literally read every single post ever written by several of my favorite money bloggers. But if I told you the names of my favorite bloggers, you would realize that my blog is nothing like theirs — different content focus, few similar posts, and very different site design. Learning from others’ experience while still forging my own path has been instrumental in transforming my hobby blog into a profitable online business. I put my own unique spin on my blog while helping readers save money, make money, and crush their debt. No matter what side hustle you choose, someone has already done it — and done it well. You don’t need to reinvent the wheel to be successful, but you do need to make it your wheel. When I hear people complain about money problems, I’m naturally sympathetic. I remember what it’s like to dream about everything I could do if I stumbled upon some free money or got a huge raise. But many people who complain about money problems are doing very little — or nothing — to change their circumstances. They’re living in the “retreat” or “no action” states I mentioned above. I’ll be the first to admit that I’m not always the best at math, but 56 hours per week is a lot of available time to get out and change your financial trajectory. I realize that this 56-hour figure is drastically reduced if you have children. I learned that the hard way when my son was born in early 2018. But if you don’t have children or other major time commitments, let’s be real: You definitely have time for a side hustle, and you won’t even have to make unreasonable sacrifices to make it a successful one. No, you may not get to watch football all Sunday afternoon. You probably won’t be up-to-date on the latest celebrity gossip. And you might not know who won an Oscar this year (I sure don’t). But some sacrifices are worth it. If you’re just getting started and already have a family, you should expect to make occasional sacrifices. I would be lying if I said I haven’t made them from time to time. But I also have clear boundaries in place to make sure I always spend valuable time with my family. Growing a small business is a lot of work, and it is definitely time-consuming. But Meg and I have always reminded each other that our day jobs are the most important work we do. If you’re looking to start a side hustle, make sure that your current full-time job still remains your highest priority. Losing your primary income stream and benefits could be catastrophic, so it’s important to set very clear boundaries to make sure that your performance does not suffer. Sometimes I still have to pinch myself when I stop and consider how our side jobs have changed our lives. But when I pause and reflect on the journey we’ve gone through, it’s not the money that brings a smile to my face. Our small businesses are truly great sources of joy in our lives because of the impact they have on people’s lives. Our biggest advice for anyone looking to start a small side hustle or dynamic small business is simple: Do something that will bring you joy and allow you to make a difference for someone else. For us, that’s helping people. No small business or side hustle will be a walk in the park, but putting in the effort to change your circumstances is much easier and more enjoyable when the work you are doing matters to you. It may take some failed attempts to find the path that brings you happiness, but there is nothing wrong with failing forward. Now, chart your course, go do the work, take massive action, and make an impact on someone. You won’t regret it, and it just may change your financial trajectory forever! 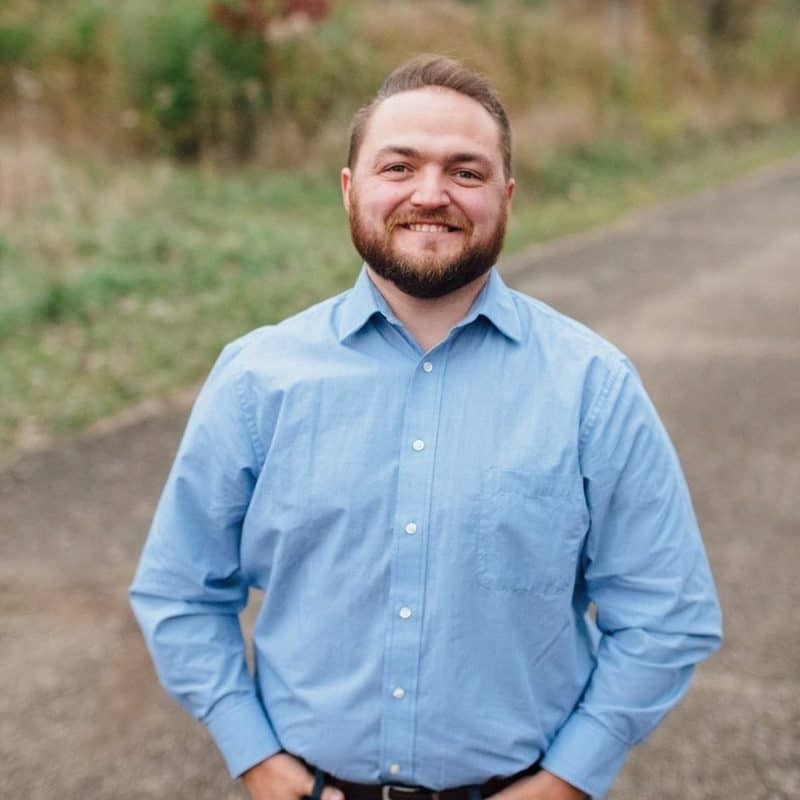 This was a guest post written by David Cahill from FinanceSuperhero where him and his wife help others make more money, save money, and crush debt. Looking to learn how to start a side hustle and change YOUR financial future? Check out our private Facebook communities to help you do just that — general advice in The Savvy Couple Community and guidance to start a blog in Blogging With Purpose! Well i would love to do another job, but I work in the transportation industry and drive a 18 wheelers all over the USA delivering freight to every American citizen who buy at Walmart like produce or other products. But i do want to learn how to become a broker and make more money buying stock. That i have never tried before. Something new to try. Thanks for sharing your story! As someone else who does real estate as a side hustle (my wife has her license), I can attest that it’s not as easy as a lot of people make it out to be. You can definitely do it on the side, but it tends to be feast or famine – either nothing is happening or there is a crisis to deal with RIGHT NOW. I also identify with your mindset – I tend to get stuck thinking about all the things I want to accomplish in my entrepreneurial ventures and never actually DO anything. Good advice that I need to learn to follow.